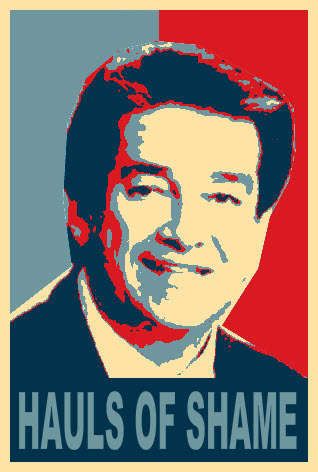 2011 was a bad year for the "Barry Halper Collection". The investigative reports published by Haulsofshame.com in 2011 exposed the deceased legendary baseball collector and New York Yankees minority owner Barry Halper as a fraudster who duped scores of collectors, auction houses (including Sotheby’s), Major League Baseball and the Baseball Hall of Fame by selling both counterfeit and stolen artifacts. Halper ended up pocketing millions and, despite his deceptions, was even immortalized in Cooperstown with a Hall of Fame wing named in his honor. From 1999 through 2011, the “Barry Halper Gallery” was located on the Baseball Hall of Fame’s first level exhibition floor plan, but as the troubling reports about the Halper Collection circulated everywhere from the New York Post to Deadspin this past Summer, the space once dedicated to Halper was no longer identified on Hall of Fame brochures and its dedication plaque was no longer visible to museum visitors. As a result of the investigations focused on the Halper Collection it has been established that the majority of his early vintage uniforms, including everything from John J. McGraw’s 1905 World Series uniform to Mickey Mantle’s 1951 rookie jersey, were forgeries. In addition, signature items that helped cultivate his reputation as the ultimate collector have similarly been tarnished. The Babe Ruth signature on his famous 500 Home Run Club sheet, the one that he said he got from Ruth in person in 1948, was a fake too. Halper said he also added the autograph of his coach, Jimmy Foxx, to that same sheet when he was a pitcher for the University of Miami baseball team. But Halper never made the U of M team and Foxx wasn’t even the coach during the years Halper attended the school. 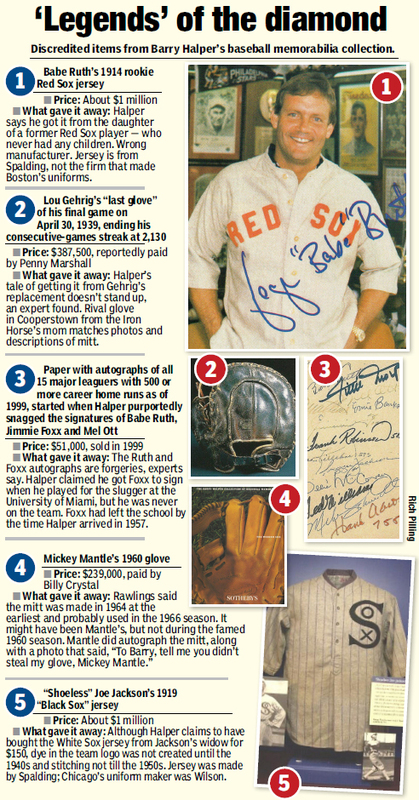 The first-baseman’s mitt Halper sold at Sotheby’s as Lou Gehrig’s “last glove,” for close to $400,000, was fraudulently misrepresented as well. Gehrig’s authentic last glove was donated to the Hall of Fame by his mother and has been on display in Cooperstown for decades. Equally disturbing are the revelations that rare documents Halper sold at Sotheby’s, addressed to Hall of Famer Harry Wright and Cincinnati Reds owner August Herrmann, were stolen from the collections of the New York Public Library and the Baseball Hall of Fame. The list goes on and on. Even the self-promoting profiles of Halper and his collection published in Smithsonian Magazine, Sports Illustrated and the New York Times are littered with forgeries and fraudulent items once held out as genuine to the general public. (Top) Ruth signature from alleged letter authenticating his own hair. 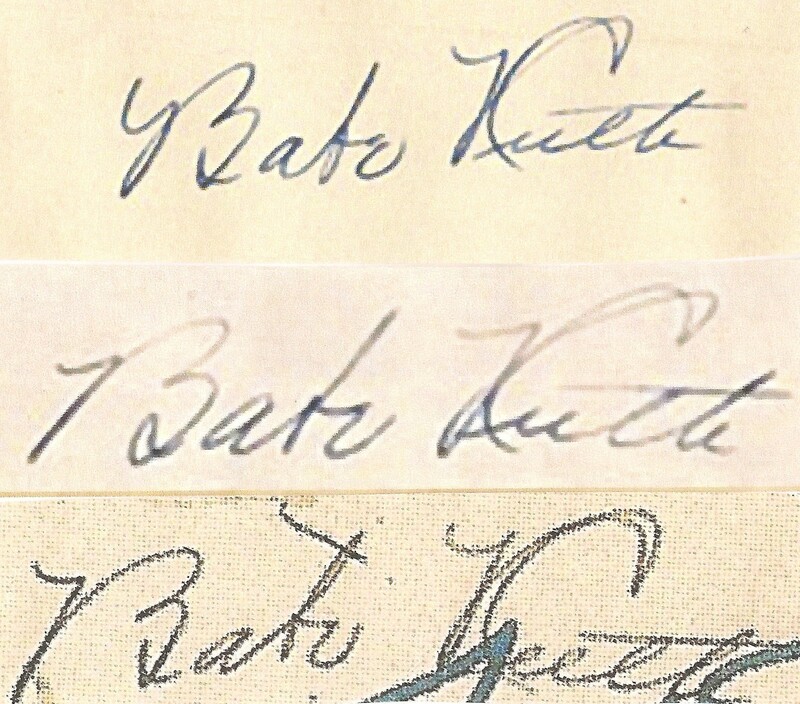 (Middle) Ruth signature from alleged envelope with typed authentication of his hair. (Bottom) Allleged Ruth signature that Halper said he got in person 1948 from his 500 HR Club Sheet. Expert Ron Keurajian believes all three signatures are forgeries and signed by the same forger. (L to R) Numbers 8, 58 and 59 from the "Halper Hot 100" list. All three rare documents are "Challenge Letters" sent either to or from the Knickerbocker Base Ball Club. All three letters were stolen from the NYPL Spalding Collections' Knick Correspondence Scrapbooks. The letter to the far right, is an 1856 "Challenge Letter" that is still found at the lirary. Barry Halper sold the 1859 letter to the left at Sotheby's in 1999 and once owned the other two examples sold later at other auctions. This gallery of problematic artifacts from the Halper Collection was published in the New York Post on July 24, 2011. 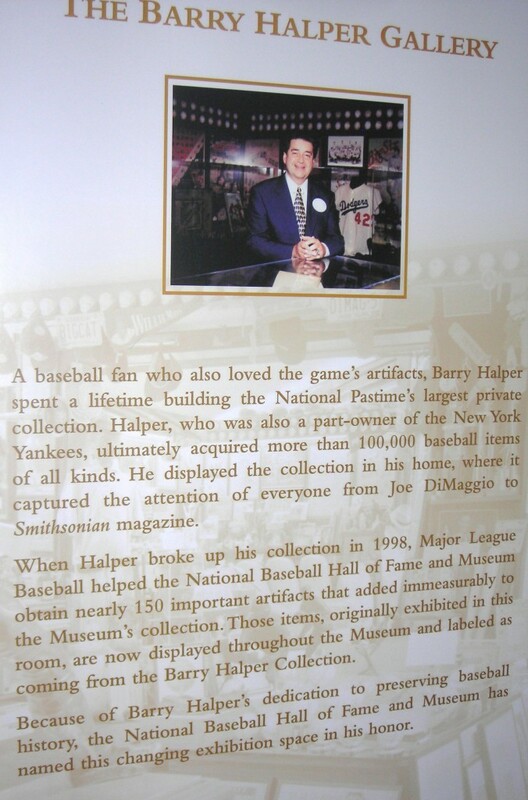 This dedication plaque used to hang in the "Barry Halper Gallery" on the Baseball Hall of Fame and Museum's first floor. The exhibition space and plaque dedicated to Halper in 1999 appear to have been removed. Hall officials have declined comment. Great reporting, Peter! Halper was a total fraud. Now let’s see if the likes of Madden and O’Keeffe, who were in bed with him, will admit it. There is no doubt about it,BARRY HALPER WAS THE BIGGEST THIEF GOING,his actions and trail,make the Prohibition Days look like childs play.It is a damn shame, that so many people were screwed out of so much $, for worthless junk and they cant do a damn thing about it, cause he is where he belongs,IN HELL. After all that has been proven aganist him,if Jeff Idelson had any balls, he would remove the piece of crap,phoney plaque out of the HOF and take the Bonds steriod ball with it.Both are no examples for the young folks of today,to be looking at. I’ve seen the Halper Hot 100. Is this the Halper “Sweet Sixteen”? How Halper could look into the camera and say his college coach was J. Foxx when Halper didnt even make the team and Foxx wasnt even there when he went to school, shows he was capable of anything. So happy a good chunk of Halper’s items are being found out stolen and fake. I just hope the people who bought anything can get their money back.